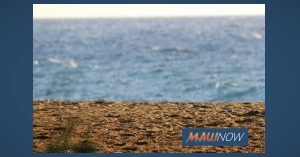 A 63-year-old male visitor was rescued from waters off of Kāʻanapali on Sunday morning, Feb. 3, 2019. Ocean Safety and Maui Fire Department personnel were called to the scene at 11:19 a.m. Personnel aboard a Jet Ski located a swimmer in distress approximately 200 yards offshore outside the Maui Kāʻanapali Villas, said Maui Fire Services Chief Rylan Yatsushiro. According to department reports, the swimmer was brought to shore, but refused medical treatment. The Maui Fire Department’s Engine 3 and Jet Ski 3 responded to the incident.